Today’s headlines paint the Middle East as a collection of war-torn countries and extremist groups consumed by sectarian rage. Ussama Makdisi’s Age of Coexistence reveals a hidden and hopeful story that counters this clichéd portrayal. It shows how a region rich with ethnic and religious diversity created a modern culture of coexistence amid Ottoman reformation, European colonialism, and the emergence of nationalism. 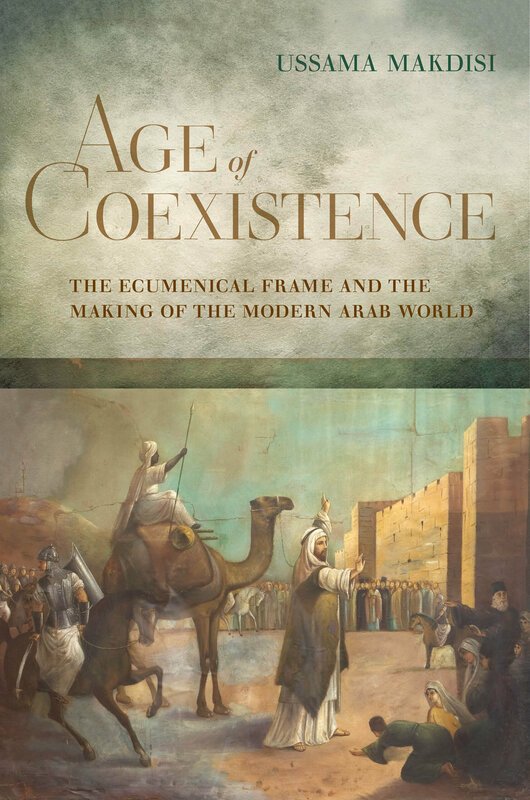 Moving from the nineteenth century to the present, this groundbreaking book explores, without denial or equivocation, the politics of pluralism during the Ottoman Empire and in the post-Ottoman Arab world. Rather than judging the Arab world as a place of age-old sectarian animosities, Age of Coexistence describes the forging of a complex system of coexistence, what Makdisi calls the “ecumenical frame.” He argues that new forms of antisectarian politics, and some of the most important examples of Muslim-Christian political collaboration, crystallized to make and define the modern Arab world. Despite massive challenges and setbacks, and despite the persistence of colonialism and authoritarianism, this framework for coexistence has endured for nearly a century. It is a reminder that religious diversity does not automatically lead to sectarianism. Instead, as Makdisi demonstrates, people of different faiths, but not necessarily of different political outlooks, have consistently tried to build modern societies that transcend religious and sectarian differences. Ussama Makdisi is Professor of History and the first Arab-American Educational Foundation Chair of Arab Studies at Rice University. He is the author of The Culture of Sectarianism, Artillery of Heaven, and Faith Misplaced.